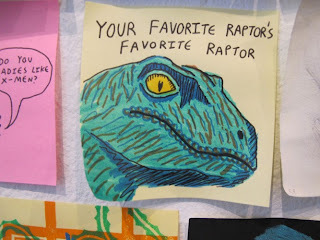 the drawings of Will Laren: My Post-it notes in Vice! 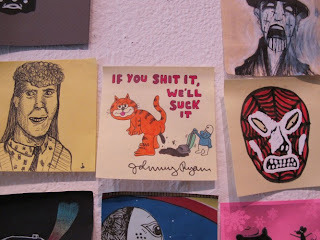 My friend Erik stumbled on these pictures of one of my post it notes from the show at Giant Robot 2 on the vice magazine website! you should check out the whole gallery of pictures they have online, there really was some amazing artwork, I'm sorry that I could not have seen it in person. anyway,thank you for taking photos of the show Vice Magazine and thank you for referring me to them Erik Puotinen!